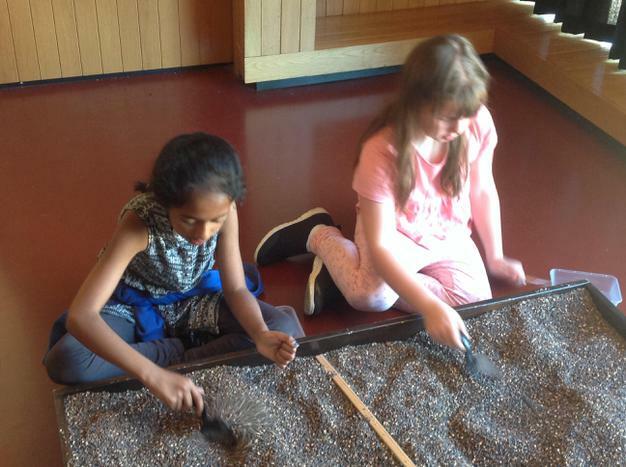 On Tuesday, we had a fun-filled day packed with Roman activities. 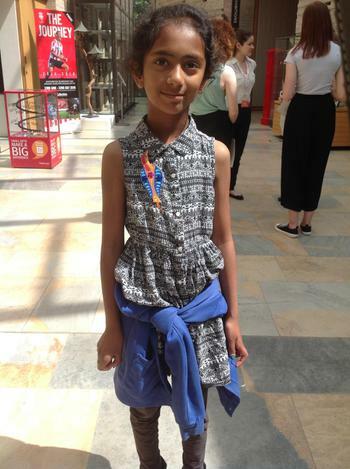 We were all divided into 4 groups of 20 children and we each did 4 different activities in a different order depending on which group we were in. 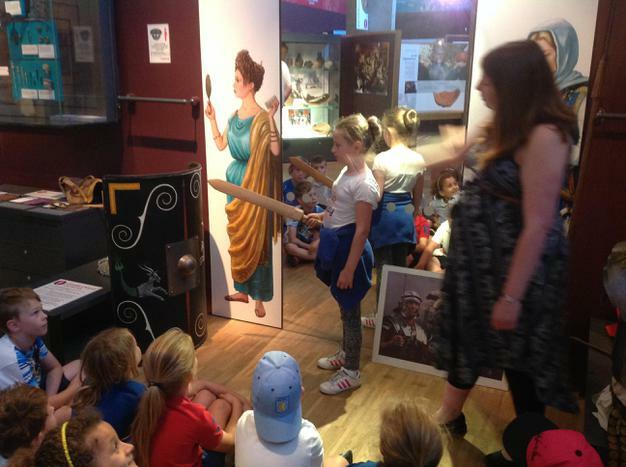 One activity was a tour of the Roman gallery. 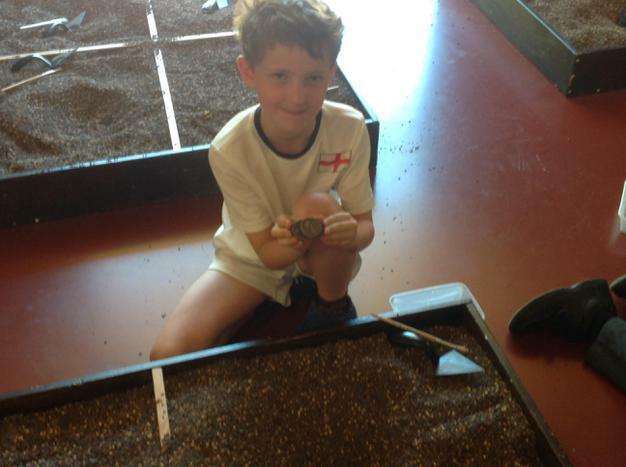 We actually started in a Celtic roundhouse and learnt about what life was like for the Celts before the Roman invasion. Then we moved on to a gallery where we saw a huge display of thousands of model Roman soldiers. 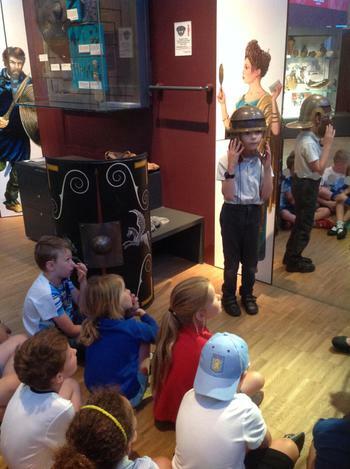 We saw a gravestone of the Roman army leader Gaius Valerius and learnt to read some of the Latin on it. 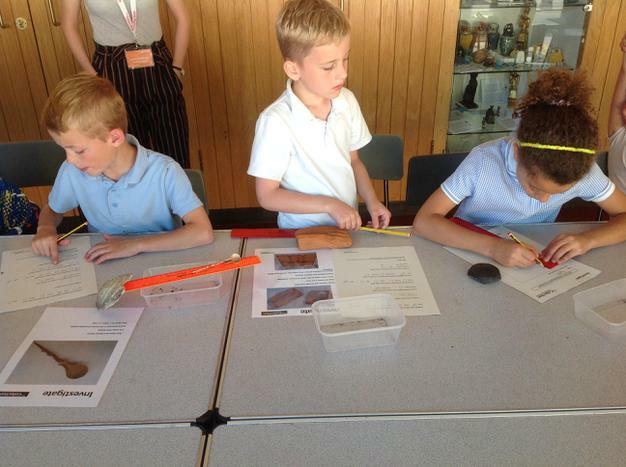 After that, we had the chance to touch real Roman artefacts, including a Roman roof tile that had an animal’s footprint on it. 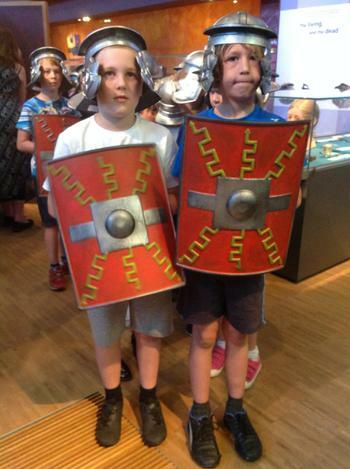 We also had the opportunity to dress up as Roman soldiers. We put on our helmets, and held our shields in our left hand and our swords in our right hand. We learnt to march along to sin and dex – sin means left and dex means right. Sin, dex! Sin, dex! Sin, dex! 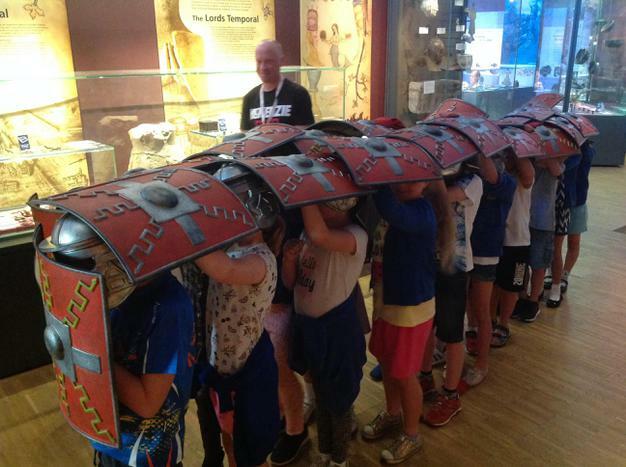 Then we used our shields to make the testudo – the tortoise formation. The teachers tested out how good our formation was by throwing bean bags at us! 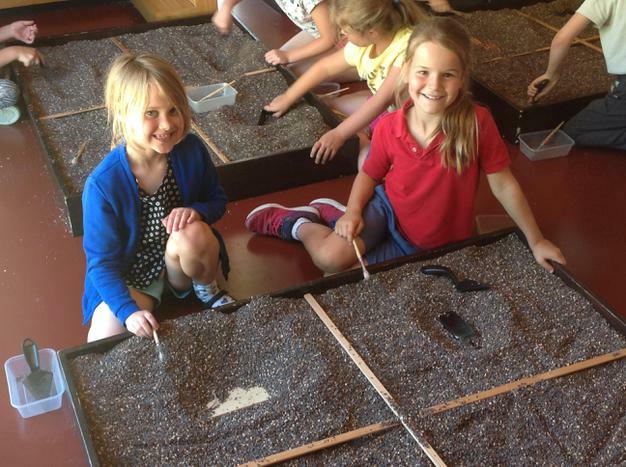 If we didn’t get hit by a bean bag, our tortoise formation was perfect! 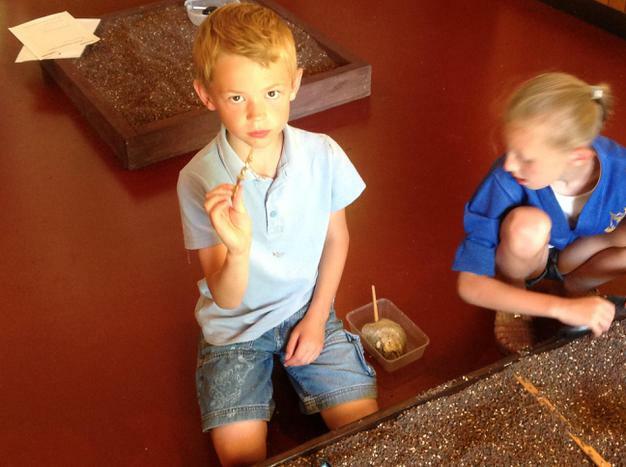 We became archaeologists and dug for Roman remains. 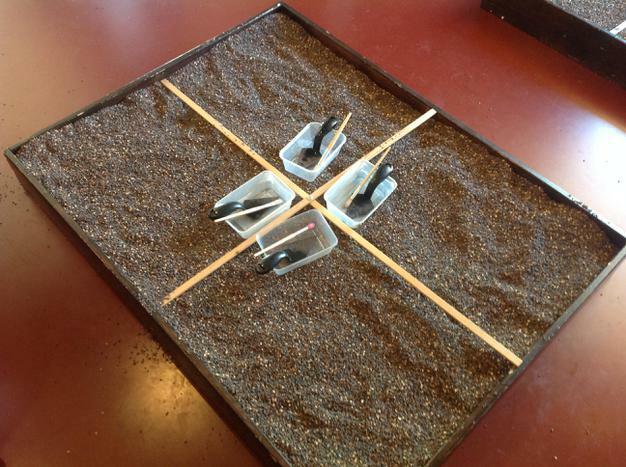 We used a noughts and crosses grid to decide which part of the gravel to dig in first. 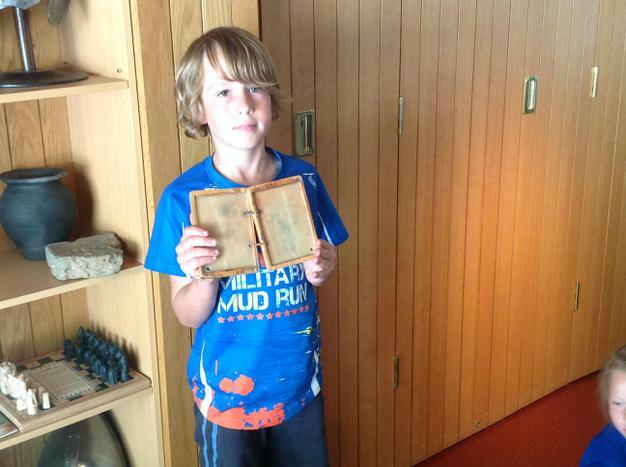 We all found an artefact and then recorded our findings by drawing and measuring. 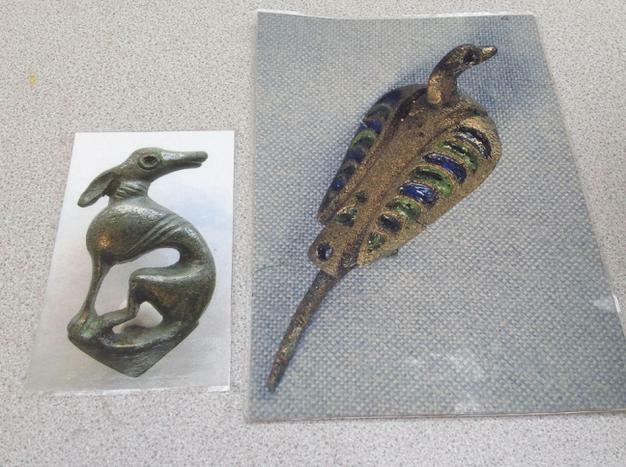 We used two real Roman brooches to help us colour and create our own Roman brooch. We could choose a greyhound design or a duck design. 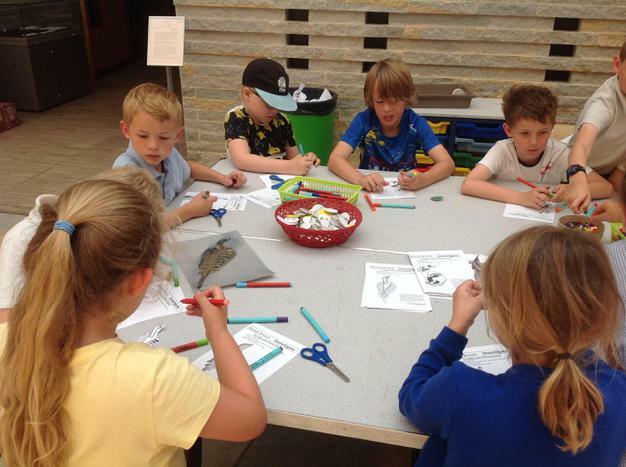 We decorated our brooches with shiny sequins to make them sparkle. Afterwards, we could pin them on and wear them. 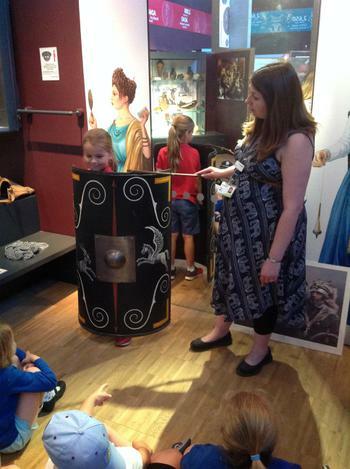 We had a great day and enjoyed learning more about the Romans. 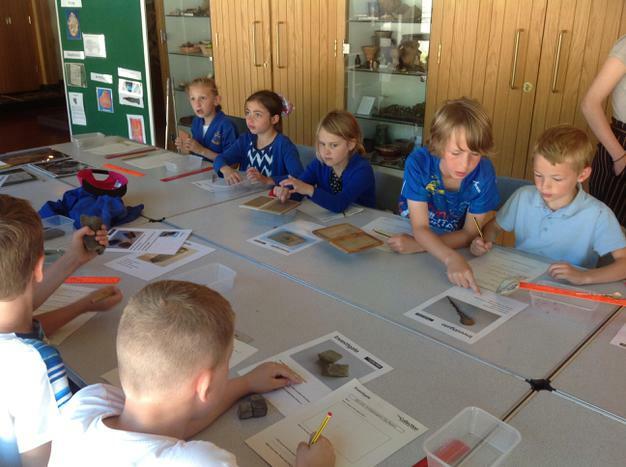 The museum staff were very impressed by our knowledge and behaviour throughout the day.